* 5. List your AID/XID. If you are not a TI employee, provide applicable ID. * 8. Texins Spring Swim Club Registration fee is: $150.00 per child for Texins members, and $200.00 per child for Texins non-members. 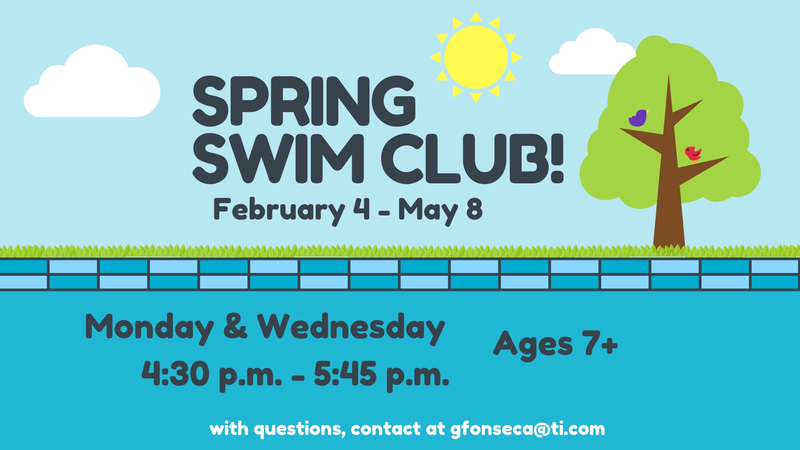 Thank you for participating in the 2019 Spring Swim Club ! If you have any questions feel free to email gfonseca@ti.com . We look forward to seeing you on February 4th!